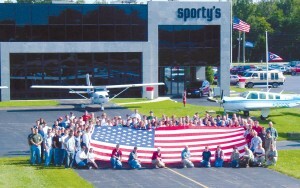 Sporty’s employees in front of building with American Flag Based at Clermont County Airport, Sporty’s has 200 employees. The humble beginnings of successful companies are always intriguing. 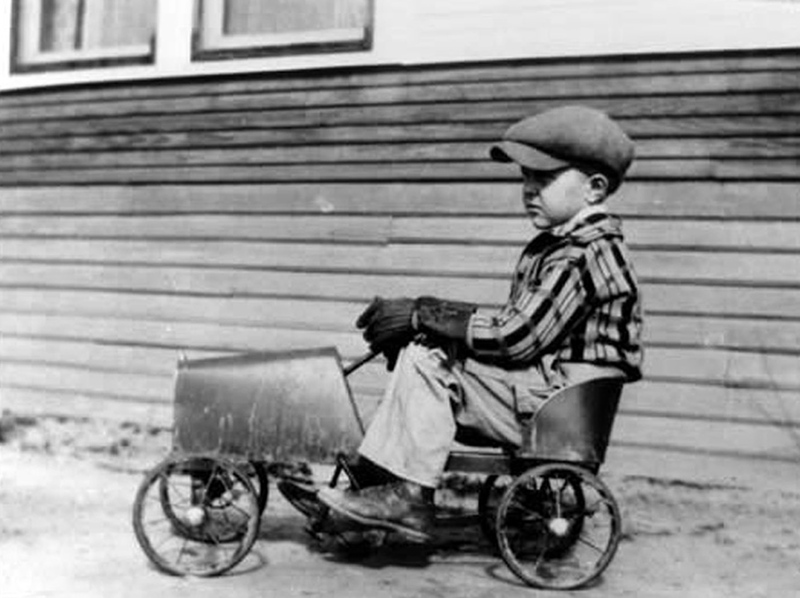 Whether it’s the multimillionaire who crafted a great invention in his garage or the cosmetics magnate who peddled her potions door to door, it’s fun to imagine the unassuming roots of big companies. And so it is with Sporty’s Pilot Shop. 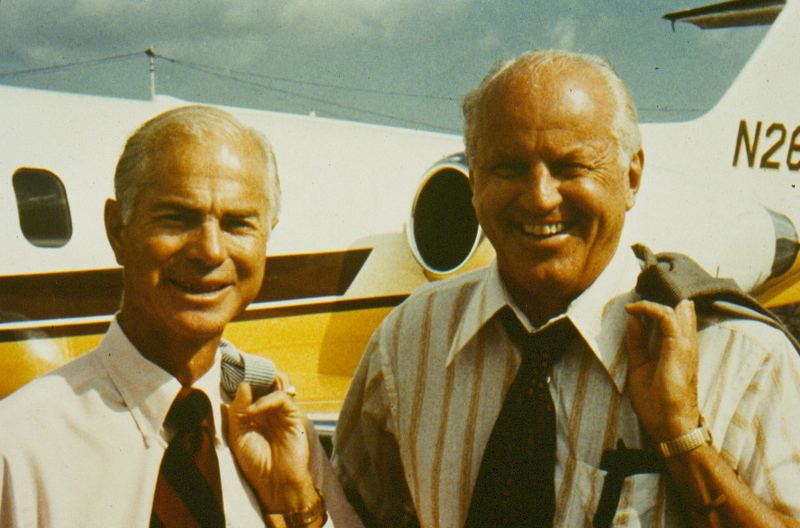 Founder and Chairman Hal Shevers had no idea at the beginning of his career that he would one day own the largest pilot supply company in the world. Like many entrepreneurs, Shevers and the jacket-and-tie corporate world parted company early. He had graduated from Purdue with a degree in mechanical engineering and took a position at Cincinnati Milling Machine Co. (now Cincinnati Milacron). It was clear to both sides that this was not a good fit, and so Shevers, who had earned his pilot’s license during college, decided to flight instruct while he figured out what his next move would be. “I was just trying to pay my bills,” Shevers said. In addition to flight instructing at Cincinnati’s Lunken Airport, he started selling pilot supplies, on the side, to his students. 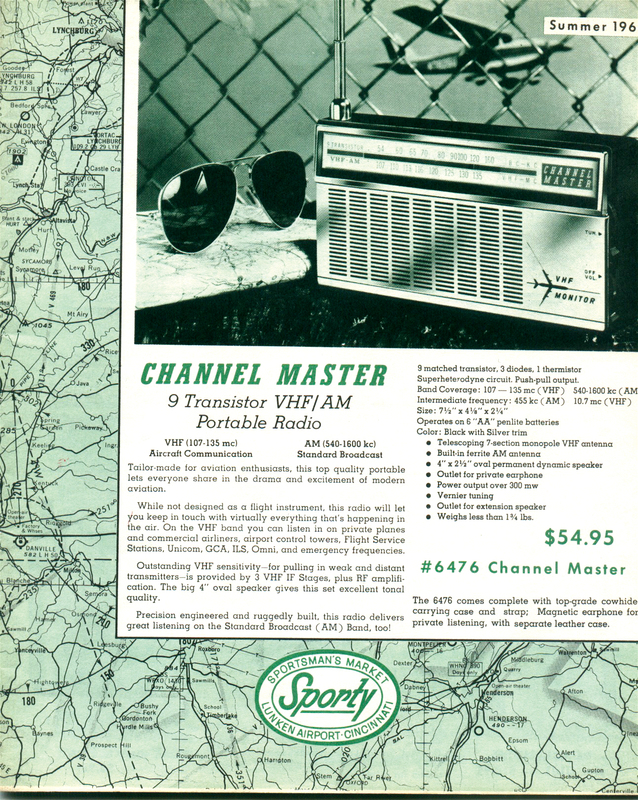 During that time, Shevers also marketed a small radio that picked up airport control towers. 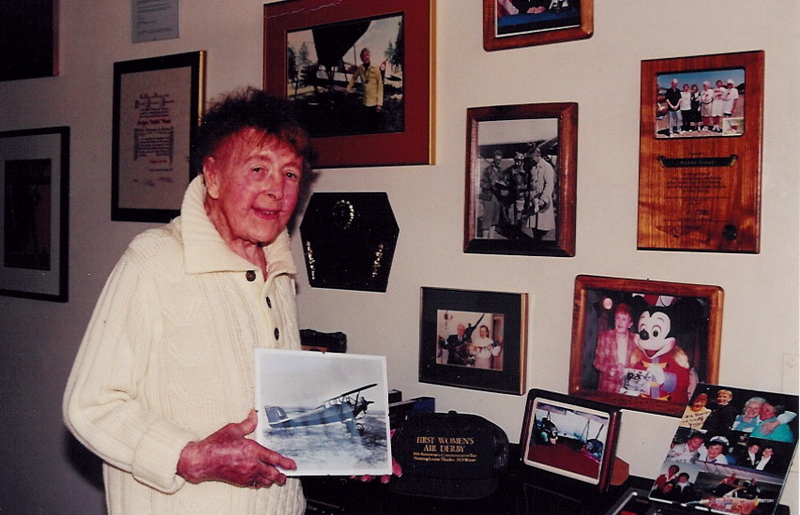 He sold the radio to pilots by mail, using the trunk of his car as his first warehouse. This was the birth of Sporty’s Pilot Shop in 1960. “Our first major success, though, was the creation of the three-day ground school in 1963,” he said. Shevers pioneered the concept known today as the “weekend seminar.” He traveled throughout Ohio and Indiana to teach a three-day accelerated ground school that prepared students for the instrument written. Shevers partnered with Joe Vorbeck, a professor of aviation at Purdue University, to write a more complete ground school course. (Vorbeck later became a long-time Sporty’s employee.) Together they created Traveling Aviation Seminars to travel the country teaching the new and improved course. “Many thought it impossible to complete an instrument ground school course in just three days, but the success of this course proved otherwise,” Shevers says. In the meantime, Shevers’ pilot supply business was growing, so when a fixed space became available at Lunken, they took action. “We grabbed on to it, not really knowing what we could do with it,” he said. As the store prospered, they wanted their own building. Shevers started to look elsewhere for Sporty’s home base. At the time, the governor of Ohio had a program to ensure each county had an airport. “The object was to bring industry to rural Ohio,” Shevers explains. Clermont County Airport (I69) was newly built and looking for the first business for its industrial sub-division. 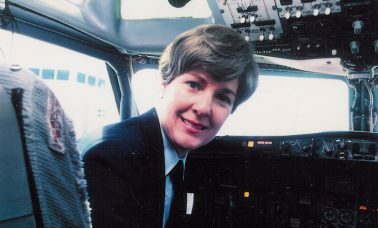 Sporty’s became the airport’s original business. As Sporty’s grew, expansion became necessary. In 1971, a larger facility was built, which was added to over the next 15 years. Then, in 1990, a new facility was built across the field. Clermont County Airport is pilot-controlled (Shevers prefers this description to “non-towered”). Its one runway is just under 4,000 feet with PAPIs and REIs on both ends. There are medium intensity runway and taxiway lights and a security guard on site 24 hours a day. Sporty’s FBO, Eastern Cincinnati Aviation, manages the airport on behalf of Clermont County. Ninety-three T-hangars are in place, with more about to be built. 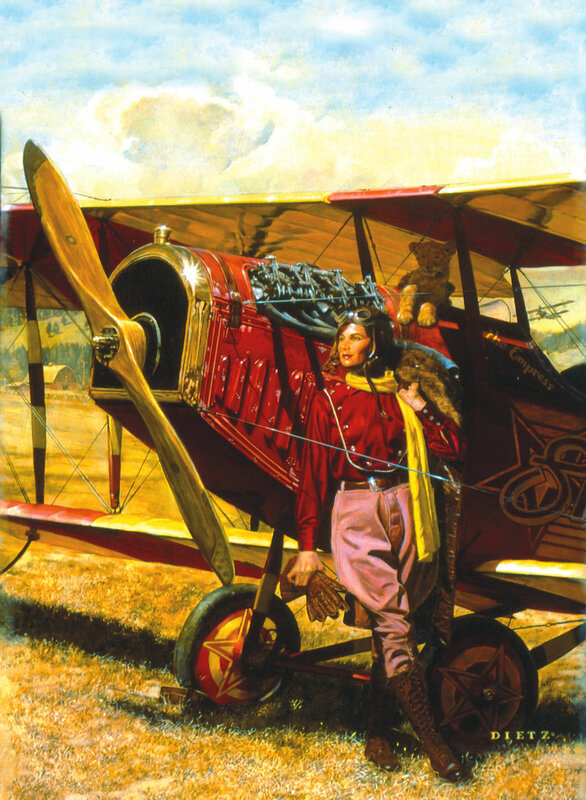 Today, Sporty’s consists of a family of catalogs: Sporty’s Pilot Shop and Wright Bros. Collection in aviation, and Preferred Living and Sporty’s Tool Shop for upscale consumers. All together, the catalogs offer about 7,000 different products. Sporty’s also owns a Part 141 flight school, an FBO and an avionics shop. According to Michael Wolf, Sporty’s president, all this is housed in a 120,000-square-foot facility—an 80,000-square-foot warehouse plus 40,000 square feet for office space and lunch room facilities. “We have just under 200 employees. That swells to 250 to 270 at Christmas,” he says. 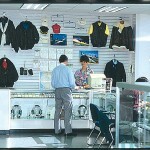 All 7,000 catalog products are kept in stock in Sporty’s warehouse. That’s one of Sporty’s strengths. 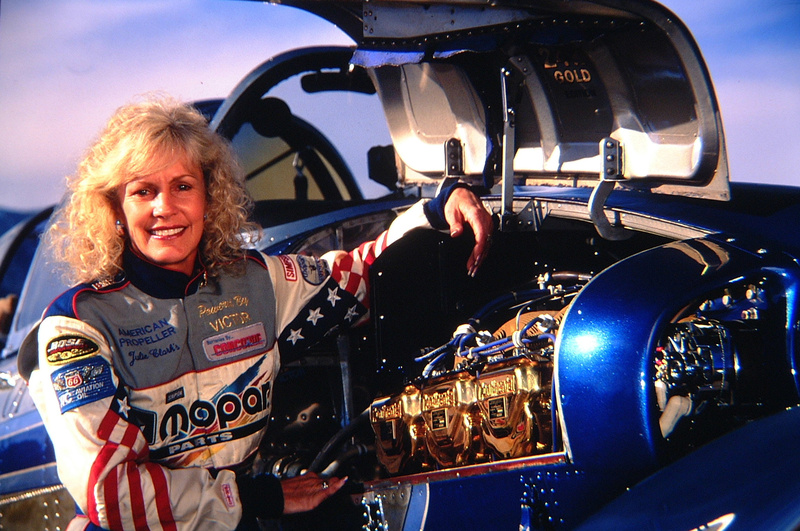 Wolf has been president for two years, but has worked at Sporty’s far longer. He started in 1972 as a “packer” in the warehouse when he was a 14-year-old high school student. Since then, he’s held a variety of jobs, most recently executive vice president of operations. “He has worked at all levels in the organization and literally knows the business better than anyone,” Shevers says about his president. Even his vacations involve flying. Wolf, his wife Sharon and daughter Ashleigh (now a college student and recreational pilot) have traveled all over the country—from Maine to Grand Exuma Island, from Hilton Head to St. Louis—on family vacations. The Aztec is his favorite airplane. 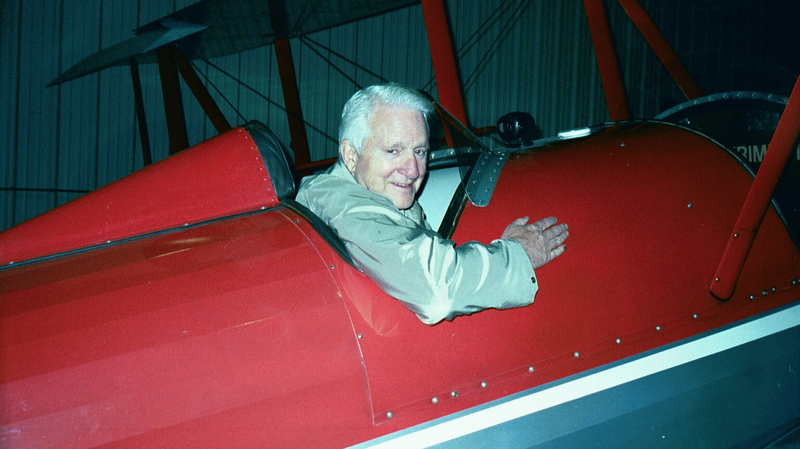 In fact, it’s the first airplane he was in, back as a teenager when Shevers gave him his first airplane ride. 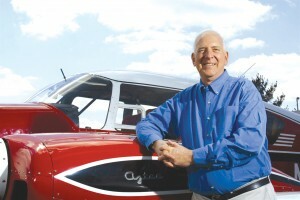 Sporty’s Founder and Chairman Hal Shevers has logged more than 2,000 hours in Aztecs. “I love taking people for rides, and we love to see the world; to me, that’s what flying is all about,” he says. Wolf’s typical day at Sporty’s begins by making sure there are no problems before the day starts. When customers or vendors visit, Wolf enjoys their seeing how well Sporty’s is cleaned and maintained. On Saturdays, visiting customers and local pilots are treated to free hot dogs at lunch and an opportunity for fellowship, hangar talk and swapping lies. Hot dogs on Saturdays are such an integral part of Sporty’s culture that an icon on the website tracks how many hot dogs have been served—to date, more than 120,000. Also rooted in the corporate culture of Sporty’s is the Morning Meeting, attended by two dozen department heads and managers. At the meeting, mail is sorted and distributed and three simple questions are asked: What happened yesterday? What is happening today? What is happening tomorrow? Attendees (who all remain standing around a table) call out meetings and appointments, accomplishments and works in progress. Morning Meetings typically last 15 minutes and are recorded for review by absent or traveling managers. As an ATP with more than 10,000 hours, Shevers sums up Sporty’s corporate philosophy. “Sporty’s is basically an educational institution. We educate pilots,” he said. He points to the more than 100 hours of original educational DVD video on topics ranging from flying helicopters to weather to GPS, all of which are produced to help pilots fly safer. “That is the focus of our business, and it has allowed us to make available to pilots other items such as jackets, sunglasses and charts,” he said. That’s why the heart of the business remains Sporty’s Pilot Shop. John Zimmerman is the catalog manager. 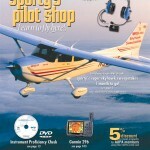 Along with products that have been available for years, the lifeblood of any catalog, including Sporty’s Pilot Shop, is new products. Input for products also comes from Sporty’s 20 flight instructors and their students. Customers, though, have been known to provide product ideas. In fact, every catalog has instructions for how to submit a product for consideration. “We get a lot of customer ideas; some are used; some are not,” he said. The majority of products submitted aren’t accepted—either because they’re not well-made, not well-conceived or a better product like it already exists in the catalog. Once an item is considered, though, it’s put through a rigorous test. The pilots on staff, including Zimmerman, will use the item for a couple of weeks to see how it fares in flight. They’ll drop it, crush it, leave it in the sun—in short, the product will be put through real-life conditions. Only a fraction of items make it to the pages of Sporty’s Pilot Shop. So what’s hot these days? In the meantime, there’s really no slow period with pilots. Christmas is big at Sporty’s. Wolf says their busiest week of the year is typically the second week in December. “The Monday of that week is usually our busiest day of the year,” he adds. Adhering to Sporty’s pledge to ship products the same day the order is received can become challenging. For these evening sessions, office employees, including executives, join the warehouse workers for a full-company effort. Sporty’s may be one of the few companies in the United States where its annual Christmas dinner-dance for employees is held in January; the weeks leading to Christmas are way too busy to party. In addition to same-day shipping for customer orders, Shevers is proud of another policy. 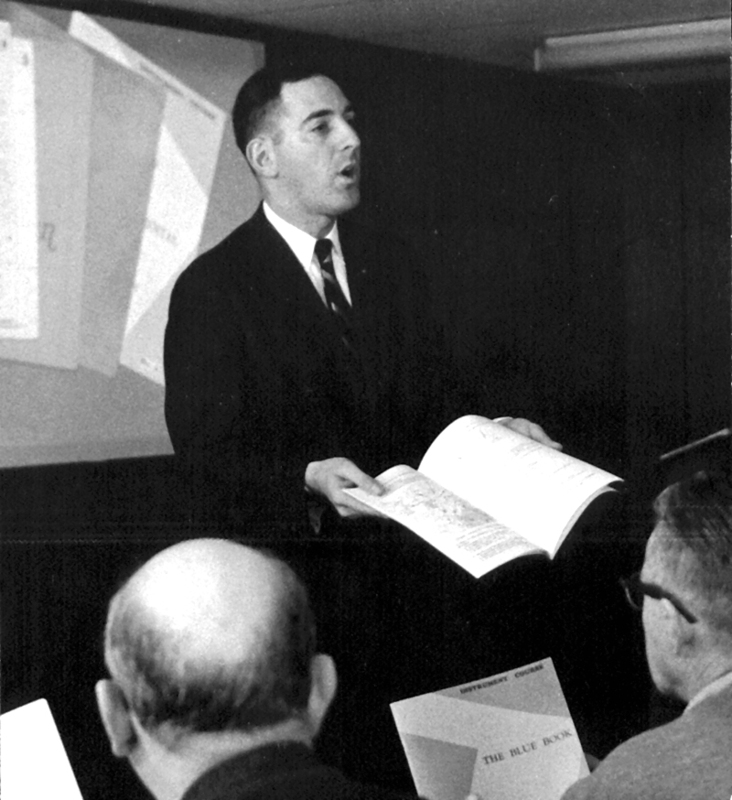 Hal Shevers pioneered the concept of the three-day ground school in the early 1960s. “Our policy is that we’ll do anything for anybody at a fair price, remembering that our employees need to be paid,” Shevers sums it up. In the more than 40 years Shevers has been selling to pilots, he doesn’t see much change in what they want. At airports or at shows such as AOPA Expo or EAA AirVenture, Shevers finds himself in the unlikely role of aviation celebrity. It’s not all sunshine and roses, though. He prides himself on having a listed home telephone number. “I get a call at home once every two or three years,” he said. In fact, one customer’s complaint struck him as so legitimate that he got in his car, came out to Sporty’s, prepared the customer’s order himself and drove it to Cincinnati/Northern Kentucky International Airport for Delta Dash. While Shevers participates in many national aviation organizations, the Aviation Exploring Committee of the Boy Scouts of America is a priority for him since he is an Eagle Scout. 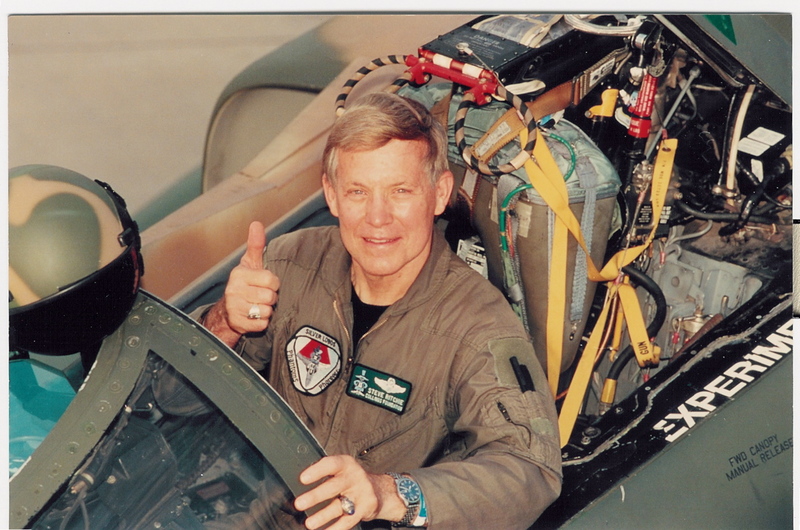 In fact, he has been awarded the Boy Scouts’ Distinguished Eagle for his lifetime achievements in aviation. Sporty’s has its own Aviation Exploring Post, and this past summer, the more than 200 Aviation Explorers who attended EAA AirVenture enjoyed a permanent food service facility (dubbed the “Skyview Café” by the Explorers themselves), funded by Sporty’s and the Aircraft Owners and Pilots Association. Sporty’s provides the flight training for the University of Cincinnati’s aviation technology program. Eric Radtke is the president of Sporty’s Academy, Sporty’s educational division directly responsible for all video courses, training materials and flight training. Radtke is a former airline pilot who received his primary training right through to his commercial license at Sporty’s. “I decided I wanted a more stable lifestyle than the airlines offered so I came back to Sporty’s,” he says. The University of Cincinnati program is now in its twelfth year. Students can work toward a two- or four-year degree. The two-year program offers an associate degree in applied science in aviation technology. Students in the two-year program will earn their commercial license and log about 250 hours of flight time. Radtke says that about two-thirds of the students continue on to the four-year program. “The majority of our students are no different than your average college student,” he says. Radtke also manages the flight training offered through Sporty’s FBO, Eastern Cincinnati Aviation. At any given time, approximately 100 students receive instruction. “Right now, we have students ranging from 14 years old to 80 years old,” he said. Although advertisements appear in local newspapers, most students come to Sporty’s through personal referral. Radtke manages 20 flight instructors whom he hires based on their enthusiasm, professional demeanor and appearance. “Of course, the right flying experience is crucial too,” he said. One training philosophy that separates Sporty’s from other flight training providers is its belief in the recreational certificate as a milestone toward earning a private certificate. He estimates that more than 90 percent of their students go on to get their private certificate. “They are able to earn their private in less time and with less expense,” he said. If it works so well, why don’t more flight schools offer the recreational certificate? 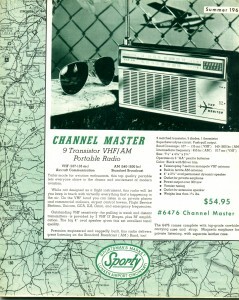 The first Sporty’s catalogs appeared in the 1960s. The pride of Sporty’s training fleet is its glass cockpit Skylane. “The G1000 takes all the traditional flight and navigational instrumentation and gives it to you on two 10 and a half inch monitors,” Radtke said. The majority of flight training takes place in new Skyhawks; Sporty’s is also an authorized Cessna dealer. 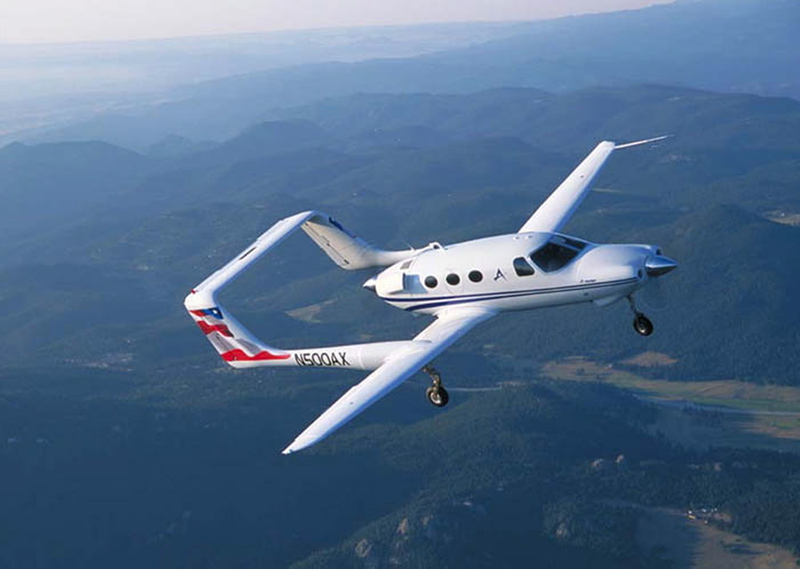 A Bonanza is used for high-performance training, and a Piper Aztec for multiengine training. A Diamond Motor Glider was recently added to the training fleet as well. Radtke sees the new sport pilot initiative as a great victory for general aviation. Radtke makes sure that flight training is fun. The biggest business challenge Sporty’s faces today is competition from websites that have no storefront, but compete solely on price. “The Federal Trade Commission aptly calls these ‘free riders.’ These sites do not promote products, and they do not service products,” Shevers said. Sporty’s policy is to offer the lowest legal price; the company has aggressively monitored these sites to make sure their prices are legal, according to the manufacturers’ standards. “What’s going to happen in the future, unless people realize the damage the free riders can do—as the FTC has—is that the customer won’t know about new products because a bricks-and-mortar outfit like us can’t promote them or won’t be around to promote and service,” Shevers warned. He also points out that lost sales to bricks-and-mortar stores might even cause prices to go up. Sporty’s own website (www.sportys.com) is a hive of activity. In addition to providing more information about products in the catalogs, the site has company news, fuel prices at the airport, information for student pilots and much more. Five webcams show company activity and what’s happening on the ramp. Right now, Shevers estimates that half of customer orders come through the Internet. Shevers’ current project is Sandy’s Farm, a residential airpark, named for his wife and company co-owner. “We have 11 lots, each with a taxiway and utilities, right on the airport,” he said. So far, one house and hangar are nearing completion and another is about to begin construction. 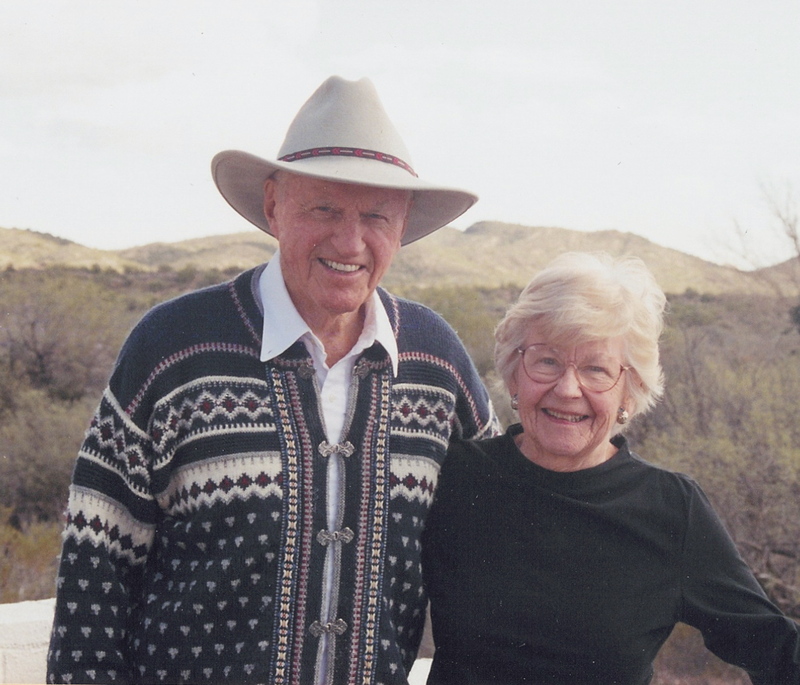 Sandy’s Farm came about when Shevers wanted to build more T-hangars in that section of the airport and offered to buy out five homes at a premium. Two homeowners said yes. That’s not the only construction at Clermont County Airport. The Tri-State Warbird Museum (not affiliated with Sporty’s) is nearing completion. Since Sporty’s company lunchroom overlooks the runway, the folks at Sporty’s have seen an Avenger, a P-51, a B-25 and a T-6 arrive as part of the museum’s collection. And still there is more news. Last month, Sporty’s launched a new catalog; Sporty’s Men’s Collection is a selection of gift items for men. When it comes to the future, Wolf is sure of two things. “We’ll expand physically and we’ll find new opportunities,” he said. And that goal blends nicely into what he says is the best part of his job. “What I enjoy the most is to wander around the airport and see everything from our student pilots to our avionics shop and see that we are holding on to the way general aviation used to be and the way it can be in the future,” he said. For more information, visit [http://www.sportys.com/]. 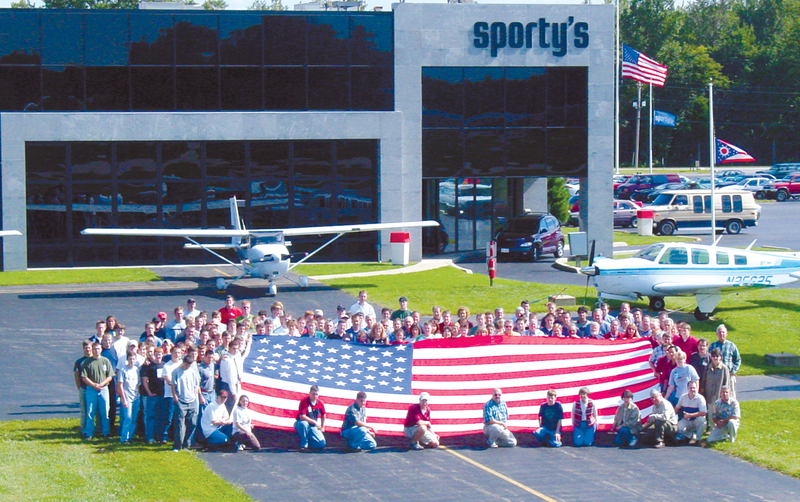 With more than 500,000 customers, Sporty’s remains the world’s largest pilot shop. Sporty’s retail store is open on site seven days a week. 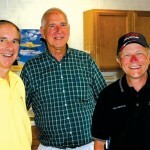 AOPA President Phil Boyer, Sporty’s Pilot Shop Founder and Chairman Hal Shevers and EAA President Tom Poberezny dedicate new Aviation Explorer facility at EAA AirVenture this past summer.